The WCS Education Department works across our Zoos & Aquarium. We inspire a diverse and inclusive movement of conservation advocates by sparking connections with animals and nature, improving scientific literacy through hands-on investigation, and engaging constituents in stewardship and action to conserve wildlife and wild places. You are excited to learn about wildlife conservation and interested in sharing that excitement with visitors. You have some experience working with children in an informal or formal setting. You are dependable, flexible, and able to work on a team. You are interested in having the opportunity to mentor youth that will work alongside you. You are available for the full season specified for each position. You are enthusiastic, committed, and enjoy working as a part of a team. As a Conservation Camp Counselor, you will work together with full-time staff to oversee WCS Zoos & Aquarium summer camp participants ranging in age from Pre-K to High School. You will teach exciting science content, welcome campers with diverse interests, abilities, and backgrounds, and maintain a lively learning environment. 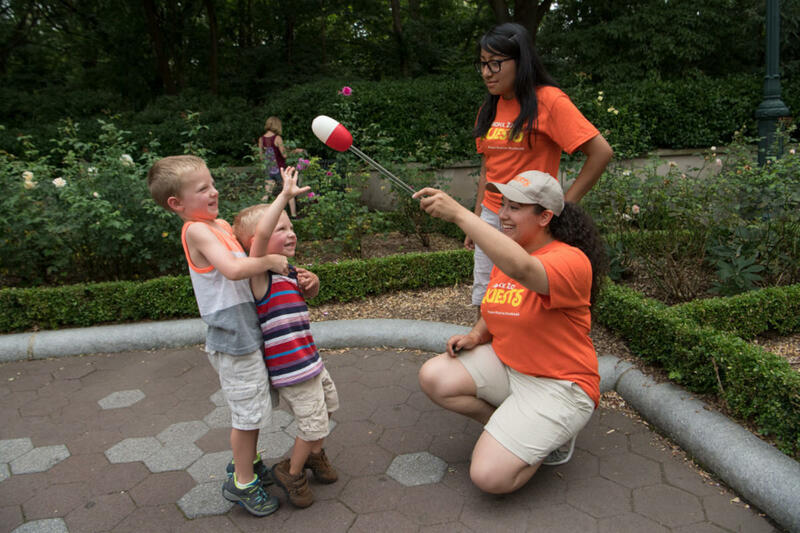 Bronx Zoo Counselors only will also mentor Counselors-in-Training. You are energetic, reliable, and enjoy spending time outdoors in nature. 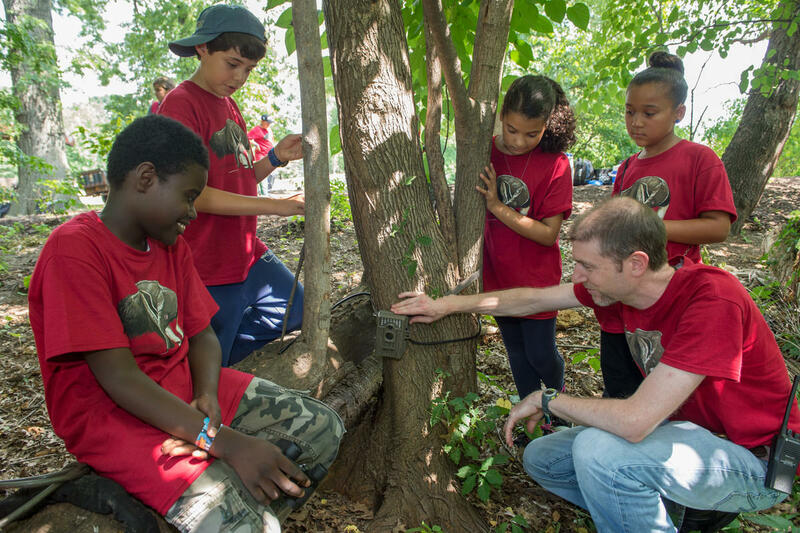 As a Nature Trek Play Leader, you will model outdoor play, and participate in parallel play, with children, families, and school groups throughout the Bronx Zoo's Nature Trek exhibit in all weather conditions. You will provide visitors with a memorable experience by demonstrating the best possible customer service at all times. You want to share your love of conservation with WCS Zoos & Aquarium visitors of all ages. 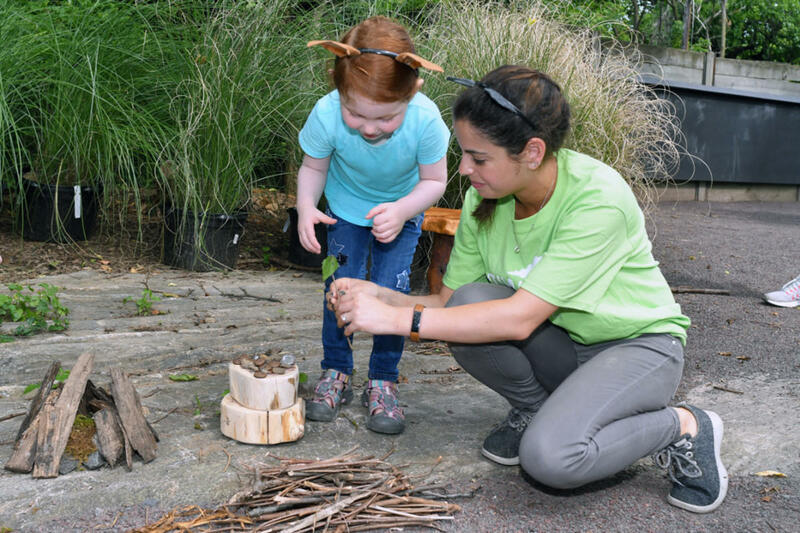 As a Quest Leader, you will engage visitors at interactive, hands-on Quest stations throughout the zoo or aquarium. You will create experiences to help visitors make connections between animal exhibits, wildlife conservation, and their daily lives by demonstrating science-based concepts with various props and educational tools, as well as facilitate play-based learning experiences. You are a self-motivated leader and enjoy working with youth ages 14-24. As an Assistant Seasonal Program Coordinator, you will work alongside the Youth Engagement Coordinator, Manager of Volunteers & Visitor Engagement and the Manager of Live Interpretation to recruit, train, and place over 100 youth in spring, summer, and fall volunteer and part-time employment positions. You will support on-site interpretive program logistics through the spring, summer, and fall, as well as coach and mentor youth. The Education Department also has other exciting opportunities available. Click here to see the full listings.